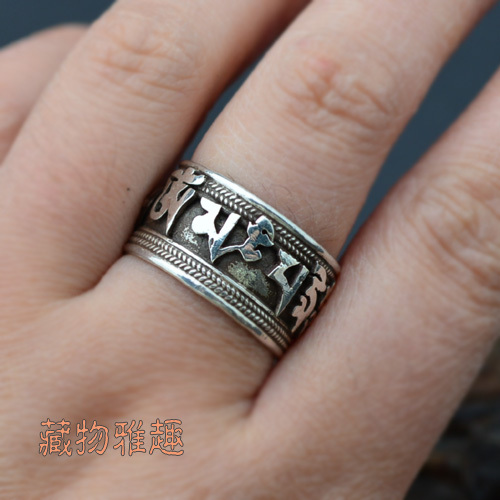 Handmade Tibetan OM Mani Padme Hum Ring 925 Silver OM Ring. 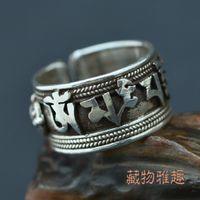 This Tibetan Sterling Silver OM Mani Padme Hum Ring was handmade by the Tibetan craftsman in Nepal from sterling silver. 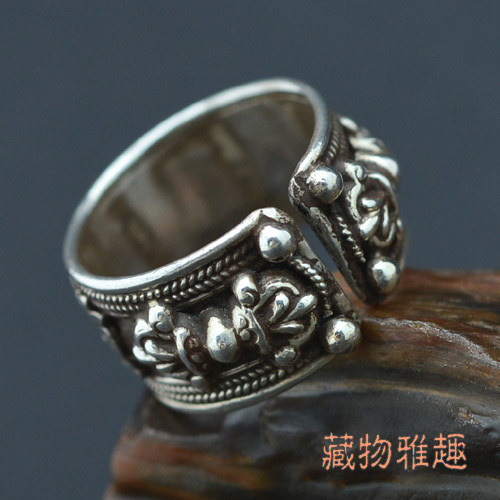 Width: 12mm. 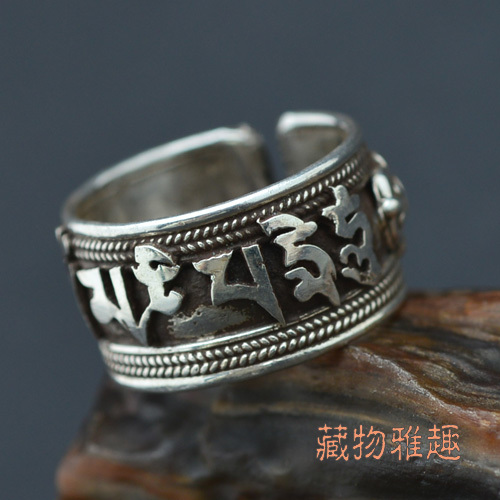 Weight: 8g. Good for size above 7.5.